Stretchable electronics are in high demand for next-generation wearable devices, but their fabrication is still challenging. Stretchable conductors, flexible pressure sensors, and foldable light-emitting diodes (LEDs) have been reported; however, the fabrication of stable stretchable batteries, as power suppliers for wearable devices, is significantly behind the development of other stretchable electronics. Several stretchable lithium-ion batteries and primary batteries have been fabricated, but their low capacities and complicated manufacturing processes are obstacles for practical applications. 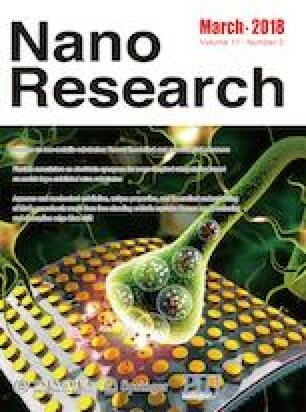 Herein, we report a stretchable zinc/manganese-oxide (Zn-MnO2) full battery based on a silver-nanowire-coated sponge prepared via a facile dip-coating process. The spongy electrode, with a three-dimensional (3D) binary network structure, provided not only high conductivity and stretchability, but also enabled a high mass loading of electrochemically active materials (Zn and MnO2 particles). The fabricated Zn-MnO2 battery exhibited an areal capacity as high as 3.6 mAh·cm−2 and could accommodate tensile strains of up to 100% while retaining 89% of its original capacity. The facile solution-based strategy of dip-coating active materials onto a cheap sponge-based stretchable current collector opens up a new avenue for fabricating stretchable batteries. Hong-Wu Zhu and Jin Ge contributed equally to this work. Supplementary material (supplementary video, SEM images, optical images, EDS mapping, I–V curve, detailed methods and stretchablility characterizations of acrylic-AgNWs film) is available in the online version of this article at https://doi.org/10.1007/s12274-017-1771-4. We acknowledge the funding support from the National Natural Science Foundation of China (Nos. 21431006 and 21761132008), the Foundation for Innovative Research Groups of the National Natural Science Foundation of China (No. 21521001), Key Research Program of Frontier Sciences, CAS (No. QYZDJ-SSWSLH036), the National Basic Research Program of China (No. 2014CB931800), and the Users with Excellence and Scientific Research Grant of Hefei Science Center of CAS (No. 2015HSC-UE007). Supplementary material, approximately 6.63 MB.